N W Lukacs,et al（1996）「Stem cell factor (c-kit ligand) influences eosinophil recruitment and histamine levels in allergic airway inflammation.」The Journal of Immunology(156)(10),3945-3951. Niyonsaba F, et al（2005）「Protective roles of the skin against infection: implication of naturally occurring human antimicrobial agents beta-defensins, cathelicidin LL-37 and lysozyme.」Journal of Dermatological Science(40)(3),157-168. 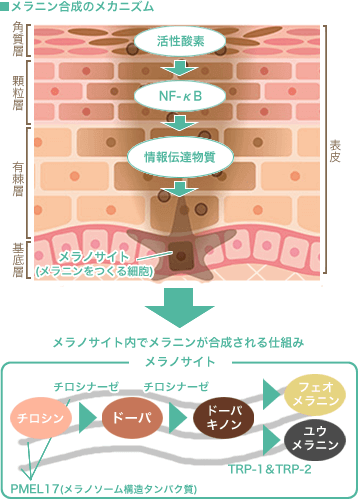 Nomura I, et al（2003）「Cytokine milieu of atopic dermatitis, as compared to psoriasis, skin prevents induction of innate immune response genes.」The Journal of Immunology(171)(6),3262-3269. Kobayashi T, et al（2015）「Dysbiosis and Staphylococcus aureus Colonization Drives Inflammation in Atopic Dermatitis.」Immunity(42)(4),756-766. Cho JS, et al（2010）「Lucky number seven: RNase 7 can prevent Staphylococcus aureus skin colonization.」Journal of Investigative Dermatology(130)(12),2703-2706. Zanger P, et al（2009）「Constitutive expression of the antimicrobial peptide RNase 7 is associated with Staphylococcus aureus infection of the skin.」The Journal of Infectious Diseases(200)(12),1907-1915.